This DVDs are the perfect addition to any collector. 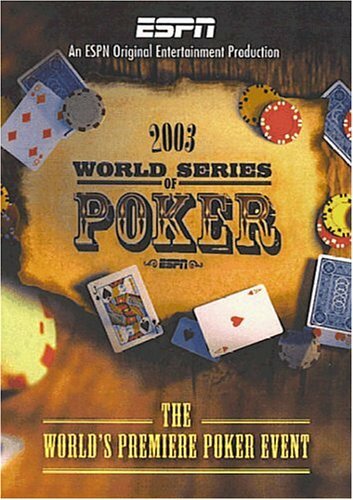 This 2-disc set contains all of ESPN Original Entertainment's telecast of the 2003 World Series of Poker, without commercial interruption, presented in full screen (1.33:1) digital video. With these DVDs, you are in control of every frame of video as ESPN captures the emotion, strategy and luck in route to crowning the champion of World Series of Poker.